WASHINGTON - Feb. 2, 2015 - PRLog -- WASHINGTON, D.C. (February 2, 2015): Honor students at Eastern Michigan University [EMU], angry about a course with mandatory 9 AM Friday 3-hour sessions seemingly designed in part to indoctrinate as much as to teach, have apparently nixed the experimental program, cut into the school's fund raising, and caused at least 2 of the 3 professors involved to refuse to teach it because of adverse comments on Yik Yak. While the faculty union is in an uproar, demanding measures like punishment for the offending students and a ban on Yik Yak, at least some professors say it shows how a simple exercise of free speech can help overcome the traditional imbalance of faculty-student power in the classroom, and be a teaching tool. 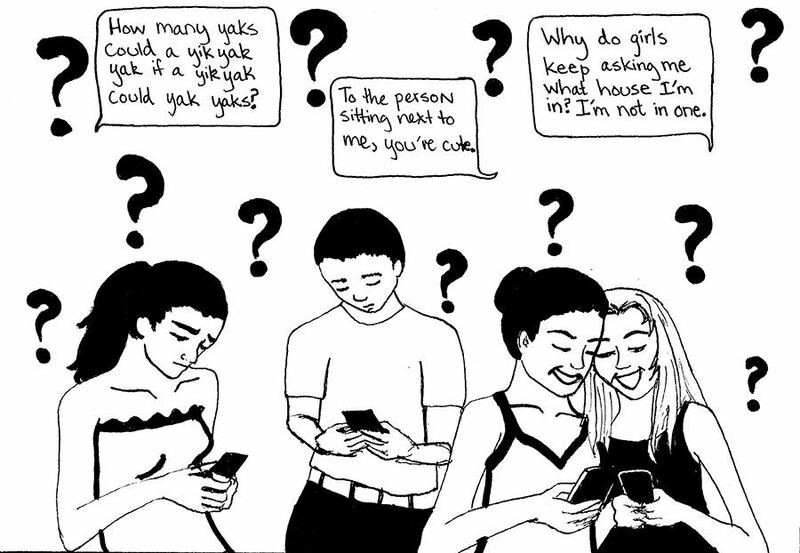 "Although virtually all of the power to control what is said in a classroom traditionally lies with the professor, and both colleges and individual faculty members can choose to indoctrinate more than teach, Internet-based tools like Yik Yak can help redress the imbalance, empowering students to freely express contrary and unpopular views - and even criticize their teachers - especially if the teachers appear to be both unprepared and to stifle discussion," says public interest law professor John Banzhaf of GWU. “If you can’t stand the heat, stay out of the classroom,” suggests Banzhaf, who’s been called many names by his students as well as by his opponents - e.g., “Legal Terrorist” by FOX’s John Stossel. EMU Professor Steve Krause is critical of the faculty union's claims that the Yik Yak incident constituted "serious student misconduct," and that students used it to "sexually harass and defame" faculty. Other EMU professors were also critical of the 3 complaining faculty members and their union's position. They noted that the comments "centered on how disorganized 2 instructors were, how unwilling those instructors were to allow class discussion, how repetitive the material was,” and that one professor became so angry she "abandoned the class to teaching assistants" - normally a firing offense. It also appears that part of the students' anger - in addition to the mandatory 3-hour Friday morning meetings, teacher disorganization, and their refusal to permit certain discussions - was that the students saw the course as more indoctrination, and perhaps a mishmash, than real and valuable education. The stated purpose of the course - “Interdisciplinary Exploration of Global Issues” [in this case, trash] - is to examine "the environment through the study of philosophical and literary texts," teach students about their supposed "ethical obligations toward" “animals and non-sentient nature,” read and discuss a book about the history of trash, etc. The course was taught by professors in 3 totally unrelated fields: Margaret Crouch (Philosophy), Heather Khan (Geography/Geology), and Elisabeth Daumer (English). Interestingly, although the course was promoted as “interdisciplinary,” and EMU actually offers a program permitting student to major in “Interdisciplinary Environmental Science and Society,” none of the professors from that clearly and directly relevant area were listed as teaching this new course. The course, which was unappreciated if not actually disliked by so many of the honors students, and which required 3 professors and 13 fellows to teach, was touted in the course description as “Interdisciplinary” - but this is an often meaningless buzzword on college campuses, says Banzhaf. The word - which has no more of an established meaning than “new” or “improved” on supermarket products - is often used to make courses sound more exciting as well as important and relevant, and to attract students from other majors, even though theirs may not be related to the course materials. For example, a course dealing with the global issue of trash could logically involve students being exposed to knowledge from fields as diverse as Systems Engineering, Economics, Psychology, City Planning, International Finance, and even Game Theory, but it’s doubtful that Philosophy and/or English can really help students understand or better attack the global problem of trash, says Banzhaf. In contrast, the law professor - who as a former scientist, engineer, and inventor combined Game Theory, Computer Science, Law, and Political Science to create the Banzhaf Index of Voting Power - is interdisciplinary, and has lectured and testified on law, science, math, and global public health issues. Perhaps one reason why so many honors students found the experimental course disorganized is that trash probably doesn’t have much in the way of philosophical implications, and the views of the great writers of English literature on this topic aren’t very helpful in addressing it today, says Banzhaf. Colleges which want to attract students and provide real value for their high tuition should send more time on courses which attract willing students by conveying real knowledge, and developing thinking which is logical and relevant rather than fanciful, and less on mandating courses combining a mishmash of subjects and seeking to indoctrinate a captive audience to particular controversial viewpoints.